Saving our past. Building our future. 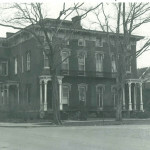 On December 7, 2015, the Crawford County Historical Society took ownership of the James and Elizabeth Tarr Mansion, thus saving it from planned demolition. In that moment, thanks largely to the support of the community, the society took a major step towards both preserving our past and building a new future. This gorgeous Italianate building, designed by Francis Marion Ellis and paid for with the Tarr Family’s $2 million (over $35 million in today’s funds) in revenue from the Oil Boom, was a testament to oil’s influence in our region and the nation as a whole. The Tarrs were one of our country’s first oil barons and their home of over 12,000 square feet will stand the test of time to become the self-sustaining Crawford County Historical Society’s headquarters and history center! Since December we have wasted no time in restoring this beautiful building. Volunteers have work tirelessly to return the north wing of the first floor to its original 1867 footprint, and in doing so, have made some incredible discoveries—large doors trapped within the walls, ornate wood trim hiding above suspended ceilings, and many, many relics from decades before. You can see many of these findings as well as the Tarr Mansion’s story in Jeremy Loewer’s eight-minute documentary, Shadows of the Past. Watch it here. 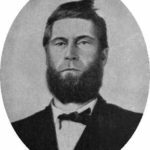 James and Elizabeth Tarr are considered to be one of the first oil barons in our nation’s history. Finding oil on their farm near Titusville allowed struggling farmers of a simple background to become our very own mix of “Downton Abbey” and “The Beverly Hillbillies.” Money was no object in the construction of their 16,000+ square foot dream home with newly acquired oil wealth. Once the project is complete, not only will the building house one of the most extensive research collections in western Pennsylvania, but eight apartments, providing the income to maintain this amazing space. At over 16,000 square feet, the James and Elizabeth Tarr Mansion is not just being saved to preserve history, but to preserve YOUR history! 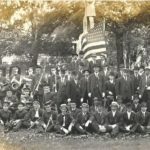 From family letters to corporate records, the Historical Society of Crawford County will be able to protect, display, and educate for generations to come with plenty of room for all of your needs. Once finished, your company or family documents, paintings, and more could be stored for perpetuity in beautiful facility. The James and Elizabeth Tarr Mansion is not just any building project, it’s an example of historic preservation making economic sense, a sample of hard work and dedication to save a national treasure, and a model for the rebirth of a community! 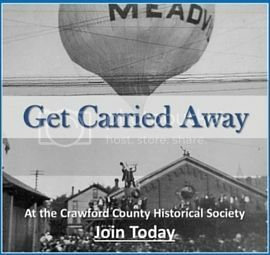 The Historical Society of Crawford County is working to create a working model of how preservation can not only work economically, but bring a community together to trigger the revitalization of a city and region. 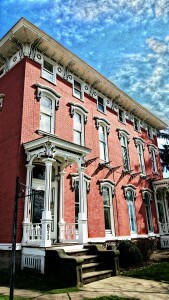 The mission of the Crawford County Historical Society includes preserving real property, such as the Tarr Mansion, as well as collecting history, preserving history, and sharing history with the public. The Society has taken on a far loftier goal, however, as we strive to not only bring history to life, but to be the hub of arts and culture for northwest Pennsylvania, the premier source for programming for our region, and to constantly broaden our horizons and experiences. The Tarr Mansion will serve as the headquarters of this mission, allowing us to expand services and programs while continuing to bring history, the arts, and culture to life! 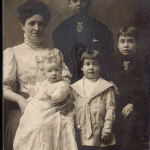 The Crawford County Historical Society holds one of the most extensive collections of archival materials and artifacts in western Pennsylvania. From family history to academic research, the society is ever expanding our focus and holdings to be certain we are the authority on the past. From the papers of a United States Supreme Court Justice to the complete files of the inventors of the zipper, the Society will make the Tarr Mansion an awe inspiring research facility ready for all to explore. The Tarr Mansion is truly a community gem! It combines apartment housing with national history at a landmark location along Meadville’s Diamond Park where it will be a hub for the community peer into its collective past in a setting that captures our heritage and culture. This project will be a testament to what we can do as a region to not only save our history, but use historic preservation to revitalize our town and county! Preservation, however, is an ongoing endeavor, and as such we have established several opportunities, big and small, that allow everyone to contribute to the Tarr Mansion’s ongoing restoration. The past has been saved; now let’s build the future together. A dime a day for 1 year: For $36.50, your contribution will be put towards many of the immediate needs of the Tarr Mansion, like floor refinishing. A dollar for each year: A contribution of $150.00 represents a dollar for each year the mansion has existed, and your gift would be used towards the replacement of missing ornamental woodwork and plaster repair. 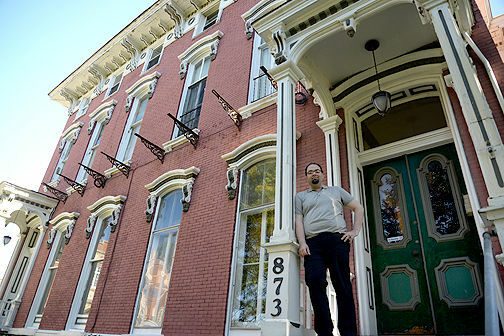 By the Street Address: A donation of $871 or $873 would match the street numbers where the Tarr Mansion has presided and your gift would make it even better by funding a new ramp for handicap accessibility. Naming Opportunities: Want to leave a legacy? A variety of sponsored naming opportunities are available starting at $250. Review the full list of options here. Corporate Sponsors: The Tarr Mansion was built on the birth of an industry that would have the greatest impact on the global economy for decades to come. Corporate sponsors can continue that tradition by investing in our community’s future and their own. Contributions are tax-deductible, and the society can assist with the necessary paperwork. To learn more, contact the society board president, Joshua Sherretts at 814-333-9882 or via email at jsherretts@baldwinreynolds.org. 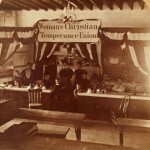 Please make your check payable to the Crawford County Historical Society. All donations are tax-deductible. Thank you for helping to keep history alive! It’s not a building; it’s our community’s future.